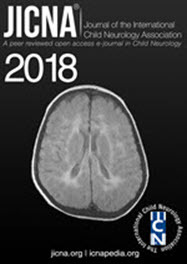 The Journal of the International Child Neurology Association (JICNA) is an Open Access Journal published by the International Child Neurology Association (ICNA), representing the Association’s official Journal. The journal aims to cover all sections of Child Neurology, Epilepsy, and Neuromuscular disorders, providing teaching, practical and professional support for clinicians dealing with neurological disorders in childhood. It publishes, after peer-review process papers concerning both clinical and basic research. 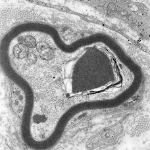 Os E., Nijhuis M., Malm S.
Kariuki S., Schubart C., Newton C.
LYME DISEASE or MULTIPLE SCLEROSIS? Two cases with overlapping features. Kotulska-Jóźwiak K., Pacheva I., Kotulska-Jóźwiak K., Patrova A., Patrova A., Jurkiewicz E.,żb., J., Jurkiewicz E.,żb., J., Ivanov I., Ivanov I., Kuczyński D., Kuczyński D., K.,ńs., Geneva I., Geneva I.
J. Int. 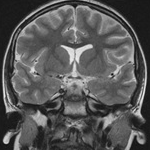 Child Neurol. Assoc.